In anticipation of the upcoming Brothers Day holiday, Fat Bruce Lee and I decided to beat the massive crowds and celebrate early with a traditional cheeseburger lunch. Nothing says "Bro" like a burger and fries followed up with fist bumps. Breadbar was on the slate for a re-review. On our previous visit, the quality ingredients were eclipsed by poor preparation. However, every time that we have encountered a Breadbar bun, it has been spectacular. We ordered a couple of the Angus Beef Burgers ($14.75) and settled in to wait. Our meals arrived in about 10 minutes. This was a VERY different outcome than our previous, disappointing visit. 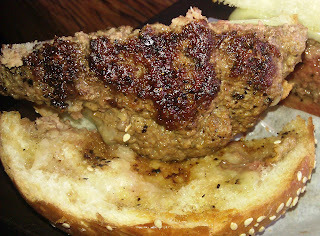 The Beef: The burger patties were 8 ounces of Sirloin ground to medium in-house. The beef came from Newport meats. The beef was better than I remembered with beef, blood, and mineral notes from the sirloin. It was a little too oily, but it was also quite juicy and very tender. The beef was a solid win. The Seasoning: The exterior was dusted with exactly the right amount of a savory/peppery blend. The Sear: The sear appeared to come from a very hot grill, and the sear came with a little char. The sear was rich, deep, and added a satisfying crunch. The mild char added a subtle hint of carbon, which was welcome. The Preparation: Breadbar really nailed the preparation. The burger was cooked to a bloody Med-Rare with that excellent sear. The large patties were loosely formed so that they were firm yet toothsome. The Cheese: This was an aged Vermont White Cheddar, and it was darn good. The Cheddar's mineral flavors served to boost those notes in the beef, and the umami flavor worked its way through the entire bite. The savoriness of the cheese perfectly balanced out the peppery notes from the seasoning. The Bun: Hooray for Breadbar buns! We have never encountered a bad burger bun that was sourced from Breadbar. The buns were delivered from Breadbar's El Segundo bakery. The seeded burger bun was properly toasted, moist, springy, tender, just chewy enough, and mildly sweet. Breadbar really does produce the ideal burger bun. 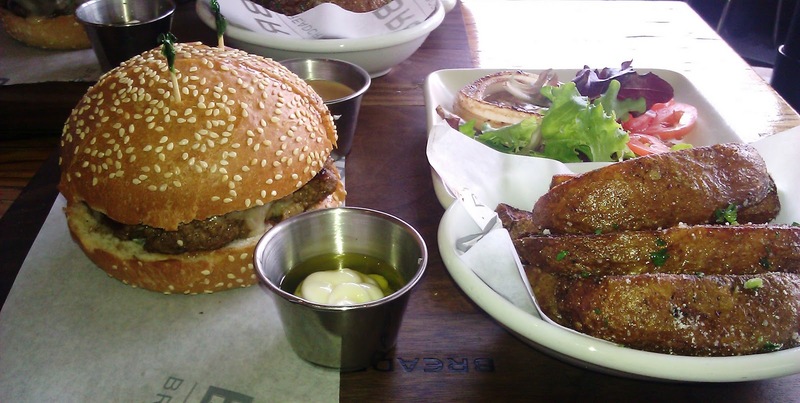 The Meat to Bun Ratio: Dead on. The Fries: We made the mistake of deviating and getting the Parmesan potato wedges. These were fine, but these were not fries. From what we could see at other tables, the shoe string fries were golden brown. The Value: $14.75 was a little costly for a cheeseburger. We had the good fortune of being able to walk to this location, so we did not incur a bunch of other costs, so the price was not egregious. A better value for a better burger can be found at MIRU 8691 or Wolfgang's Steakhouse. 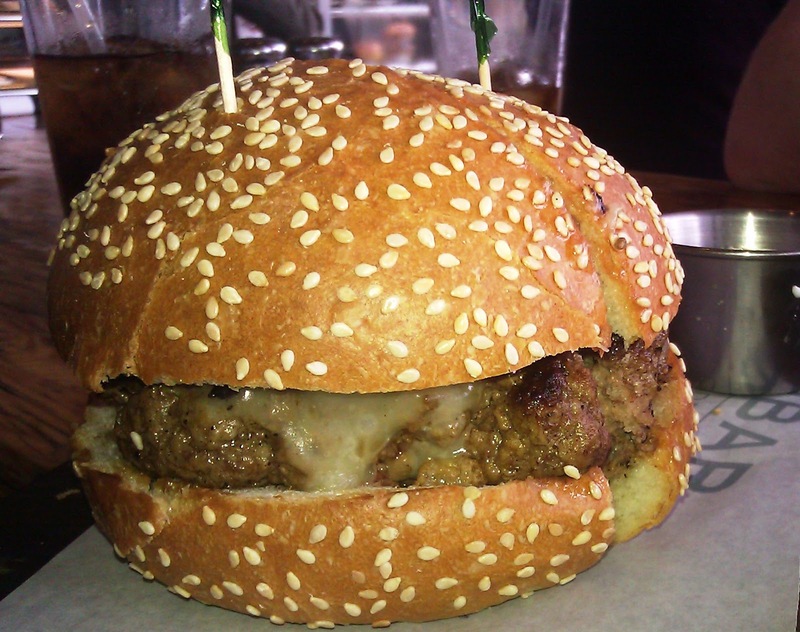 That said, Breadbar produced the best burger in Century City. 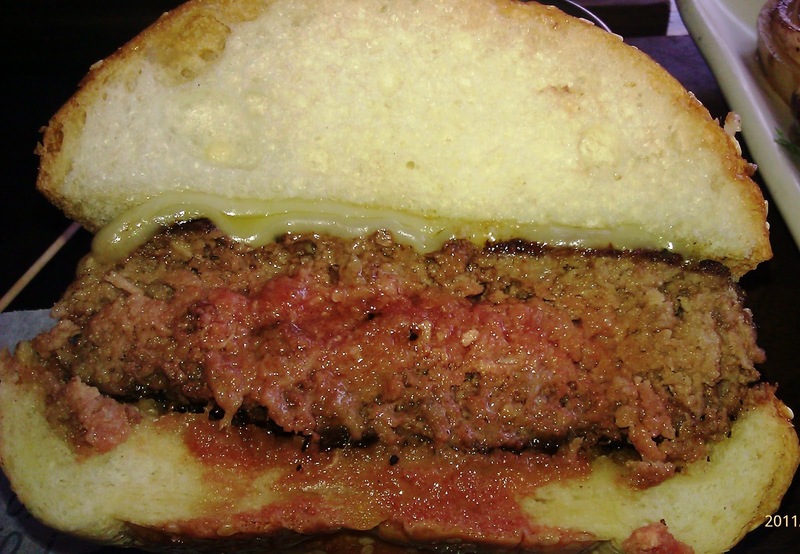 On this visit, we found Breadbar's cheeseburger to be vastly better than it was previously. The quality was surprisingly high for a restaurant in a mall--even an upscale mall like Westfield Century City. Burger Review : Breadbar produced a fantastic bun and a very good burger. If you had given up on them, now is the time to give them another try. The 2011 version of the burger was far superior to the 2010 version.